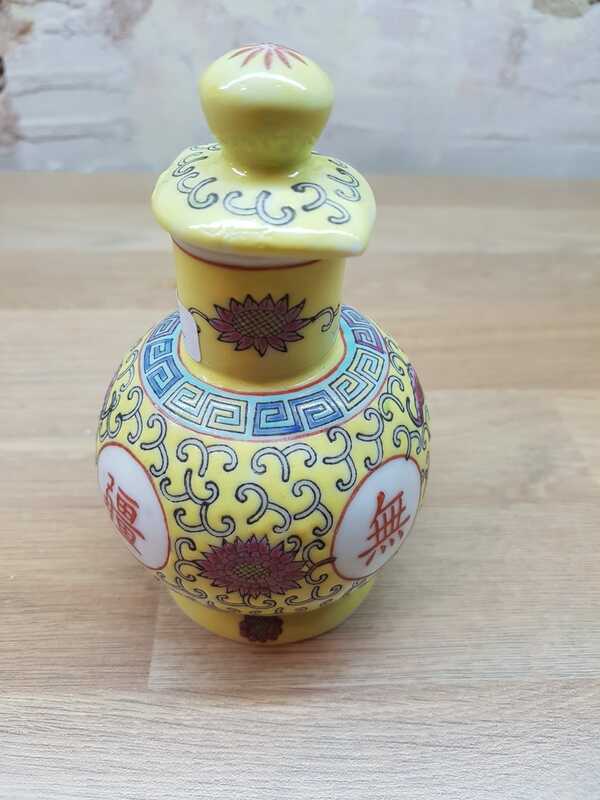 Subject:small yellow jug with 4 characters and 6 characters (+ N?) to the base? 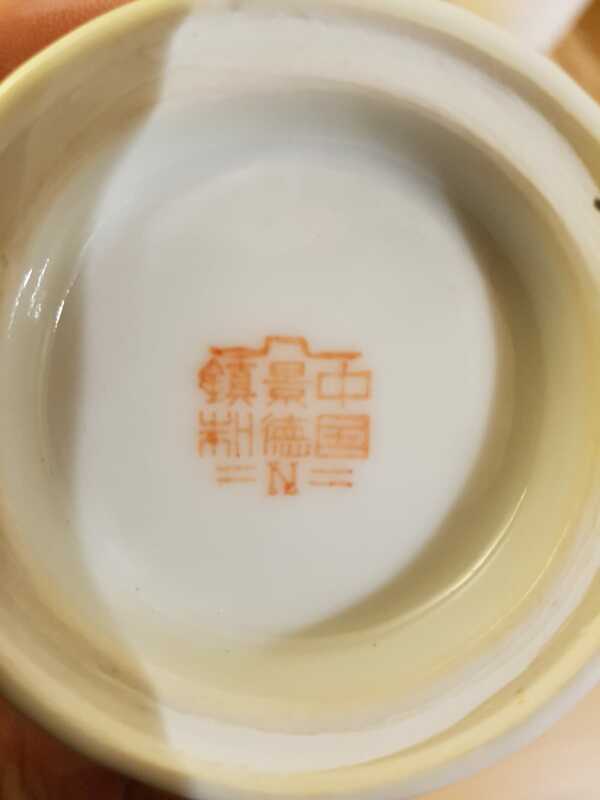 Could some one please tell me what these 6 characters and the N, on this little jug mean? As well as the 4 characters on the jug? The jug measures 11.5 cm or 4.5 inches tall. I appreciate it is not all that old, but has quite a lot of nice detail, looks hand painted is marked and I have not seen one before. ( not that this means anything! Any reply or explanation is appreciated. 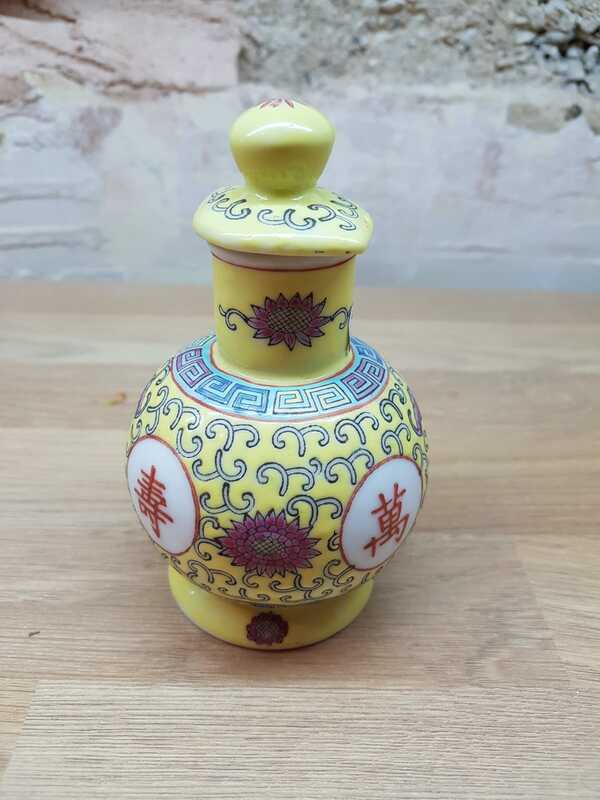 Subject:Re: small yellow jug with 4 characters and 6 characters (+ N?) to the base? 6 characters: Zhongguo Jingdezhen Zhi (China Jingdezhen made). The N is probably a factory mark. The 4 character on the item itself are: Wan Shou Wu Jiang. Date: 2nd part of the 20th C.
and scroll down to above mentioned paragraphs for more info. Hi Michael, thank you for the reply and pointing me in the right direction, much appreciated. I subscribed for a year to the Gothenburg website but let the subscription lapse. After reading your post, I will renew my Gothenburg subscription and try and visit the site a bit more often! Again your time to reply is appreciated.